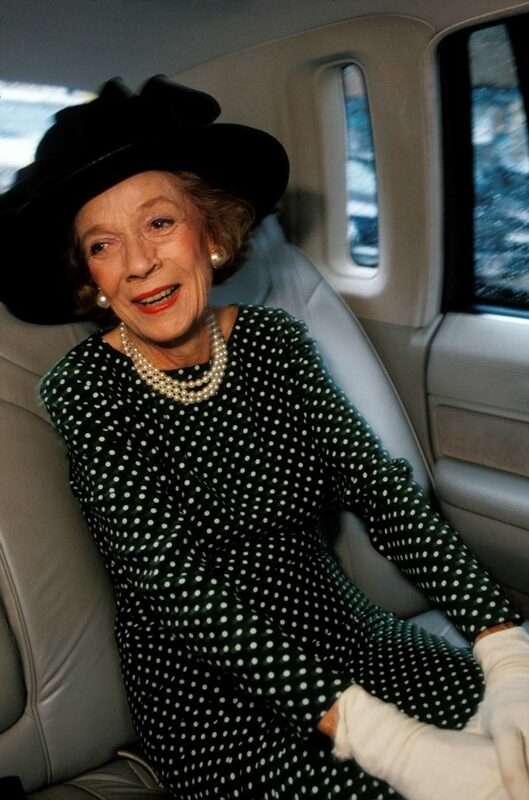 When Brooke Astor died in 2007, at the age of 105, the New York Times called her the City’s “First Lady of Philanthropy.” As president of the Vincent Astor Foundation from 1959 to 1997, she invested almost $200 million in libraries, museums, hospitals, homeless shelters, and community programs dedicated to giving all New Yorkers a chance for a better home, a better education, and a better life. Mrs. Astor’s dedication to philanthropy and to the City of New York continues. As part of the settlement of her estate, the Brooke Astor Fund for New York City Education (“Astor Fund”) was created, and The New York Community Trust was selected to administer it. The Astor Fund’s purpose is to support charitable programs and activities that improve the quality of education in New York City. Mrs. Astor was a great reader, and wanted everyone to enjoy reading. She understood that reading skills are essential to leading a productive life. 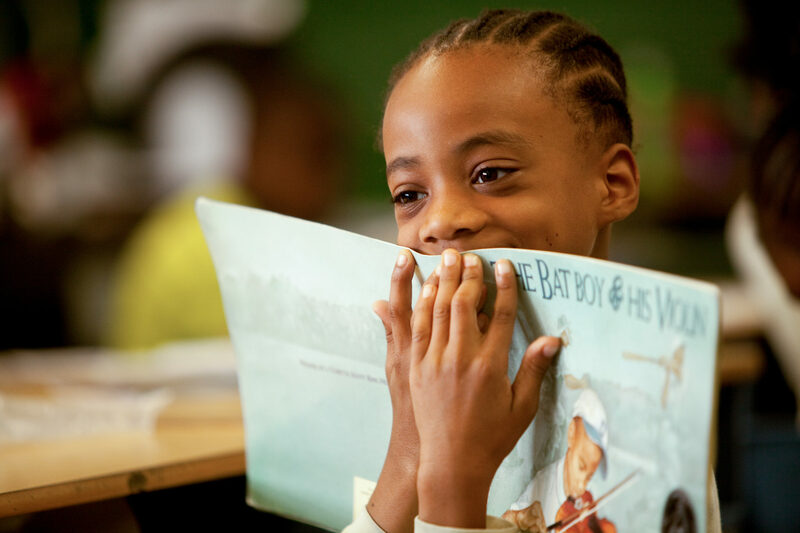 Therefore, the vast majority of the Astor Fund is being granted through March of 2021 to projects with potential to generate widespread, systemic improvement in reading skills in the early grades among disadvantaged students in New York City. Since 2013, the Brooke Astor Fund for New York City Education has awarded $21.4 million to improve literacy in the early grades. Grants have helped 18 nonprofits working in more than 250 elementary schools and prekindergarten programs where 96 percent of students live in poverty. Overall, the funding has helped 20,000 disadvantaged kids from all five boroughs improve reading skills. The Astor Fund’s independent evaluator, Metis Associates, found that Astor-funded programs so far showed a statistically significant increase in teachers’ knowledge of ways to teach reading skills such as oral language, vocabulary knowledge, and reading comprehension. Data from the majority of Astor-funded programs also showed a statistically significant shift in the proportion of students reading at grade level. A student in a Read Alliance program funded by the Brooke Astor Fund for Education in The New York Community Trust. Several nonprofits are working together to help afterschool programs build on what children learn during the day—rather than simply repeat it. Four community groups—CAMBA, Chinese American Planning Council, Cypress Hills Local Development Corporation, and ExpandED Schools—created a program called Ready Readers and are training teachers and afterschool staff to use it. Also after school, Union Settlement is using photography to help students learning English improve their vocabularies and reading comprehension. Other grantees are working to improve reading instruction for thousands of City kids during the school day. Creative Arts Team is helping teachers in Community School District 30 in Queens use drama to increase children’s vocabulary, oral language skills, and reading comprehension. Hunter College created a new training program to help teachers improve the vocabulary, academic language, and comprehension skills of students learning English in Community School District 4 in East Harlem. New York University’s Steinhardt School of Culture, Education, and Human Development is helping prekindergarten teachers put the City’s student assessment system to good use, and also training scores of them to use oral storytelling from different cultures to improve four-year-olds’ vocabularies and oral language skills. The Steinhardt School also is coaching teachers in Community School District 7 in the Bronx to use books about science to improve students’ vocabularies and reading comprehension. 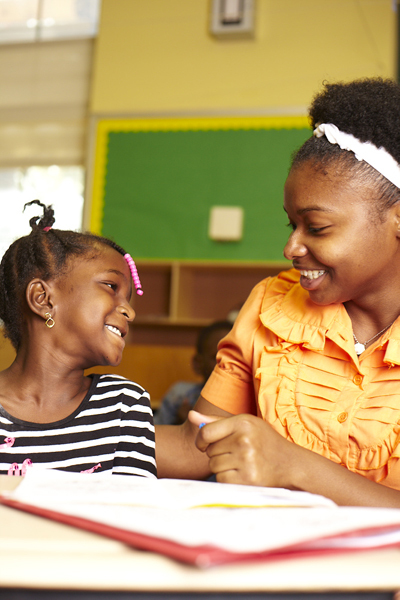 Teaching Matters created and is offering a professional development program called Early Reading Matters for kindergarten through third grade teachers in struggling City schools, mostly in the Bronx. ReadWorks created, tested, and is making available an online reading comprehension program called Article-A-Day. And the Fund for Public Schools is working with the Literacy Trust to train school staff, such as paraprofessionals, to provide one-on-one tutoring to struggling readers and comparing their success with students in schools participating in the City Department of Education’s Universal Literacy Initiative. In addition, the National Center for Restructuring Education, Schools, and Teaching at Teachers College, Columbia University is researching the “reading improvement sector” to identify trends, areas of overlap, gaps in services and results of programs, and will help nonprofits, policymakers, educators, and foundations target their expertise and resources.